Solar flares have been known to affect electronic communication because their energy stirs up the Earth’s upper atmosphere, making radio broadcasts noisy and weak. The flares, caused by violent storms on the Sun, eject a stream of electrically-charged particles, some of which reach the Earth. Although the Earth’s magnetic field blocks many of these particles, they can still interfere with cell phone reception, communications satellites, power grids and radio broadcasts. 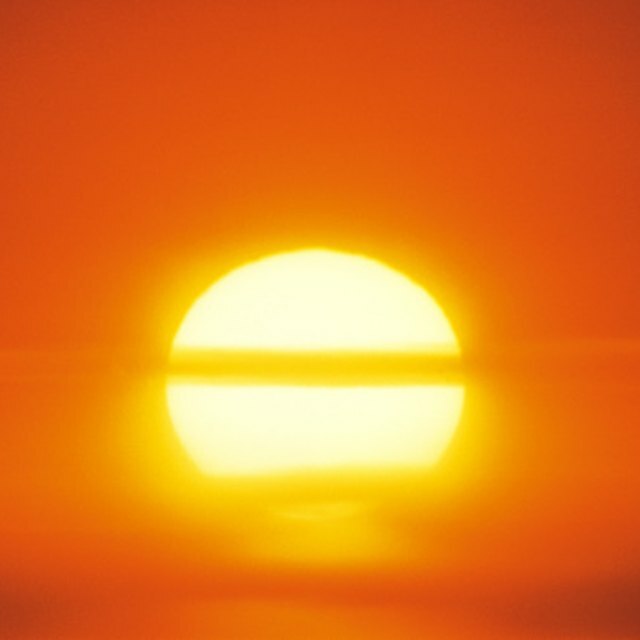 The Sun goes through 11-year cycles during which its activity peaks, then becomes relatively quiet. Astronomers discovered these cycles by careful observations of sunspots over many decades. Although on rare occasions these cycles affect the weather on Earth, generally they do not. During the more active periods, the Sun produces storms of protons and other charged particles stirred up by the star’s intense magnetic field. Under normal conditions, the Sun sends these particles streaming steadily into space as solar wind. A solar flare is an unusually large burst. The Earth is blanketed by a protective region of space called the magnetosphere, which is dominated by a powerful magnetic field. When solar wind is directed toward Earth, this magnetic field acts as a shield against much of the wind. Some of the wind's particles pass through the magnetic field into the ionosphere, a layer of upper atmosphere that begins about 90 kilometers (55 miles) above the Earth’s surface. Trapped in the ionosphere, the particles head toward the poles, producing colorful auroral glows in the sky. The ionosphere is dominated by charged particles, created by solar and cosmic rays stripping away some of the electrons from atoms of oxygen and nitrogen. The ionosphere, in its normal state, reflects AM and other longer length radio waves back to Earth, increasing the range of broadcasts. When the solar wind mixes with the ionosphere, it becomes super-ionized, causing destructive, rather than productive, interference. The turbulence interferes with radio transmissions. In some instances, broadcasts can be picked up hundreds or thousands of miles from the transmitter. In others, signals cancel each other out, creating areas where reception is poor. Particularly strong solar flares can affect electronic equipment on the ground as well as signals in space; any long metal object or wire can act as an antenna, turning the incoming stream of particles into an electric current. These currents may be relatively weak, adding noise to existing broadcasts; however, stronger currents can overload and burn out electronic equipment. One of the most powerful solar flares in recorded history occurred in 1859, when telegraphs were the state of the art in communications technology. The long telegraph wires picked up the incoming solar particles, creating powerful currents that started fires and shocked telegraph operators. According to a Princeton University Press exclusive with Dr. Stuart Clark, Fellow of the Royal Astronomical Society, UK, the present-day consequences of such an event would be catastrophic due to civilization’s greater dependence on electricity and electronic equipment. Entire power grids could be blown out and shut down. Damage estimates range up to $2 trillion dollars, including widespread and prolonged power outages. Information obtained from the National Aeronautics and Space Administration's website supports this cataclysmic scenario. National Aeronautics and Space Administration: Space Weather: What Impact do Solar Flares Have on Human Activities? 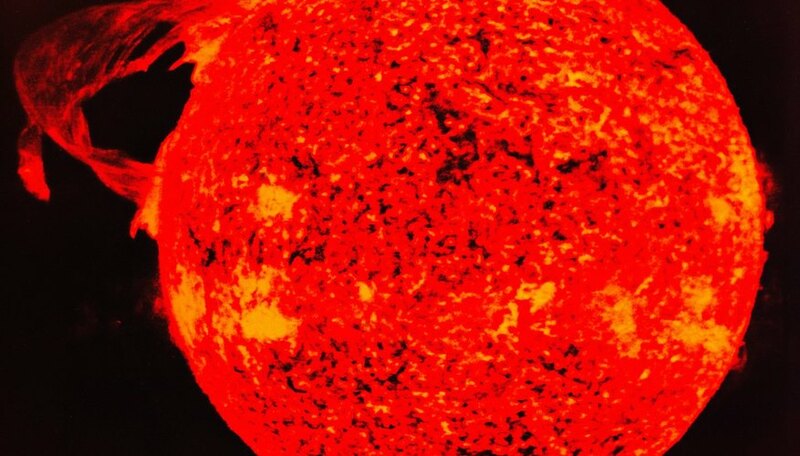 How Long for a Solar Flare to Reach Earth? Papiewski, John. "How Solar Flares Affect Communication." Sciencing, https://sciencing.com/solar-flares-affect-communication-23537.html. 24 April 2017.